In general, organization experts suggest laying out your clothing options a few weeks before your trip, adding and subtracting as needed. Since you’ll be so occupied with wedding tasks, you should aim to have everything packed and ready to carry about one week before your departure. Using your wedding agenda as a guide, make a checklist for your clothing and accessories. Make a similar one for your groom. For example, Welcome Dinner: (me) DVF maxi dress, flat sandals, white cardigan, turquoise necklace and bracelet; (him) striped Banana Republic navy pants, cream guayabera, Reef flip-flops. Do that for the entire wedding weekend. Your outfits and accessories should be finalized before you place them in your suitcases. You’ll also want to map out any downtime looks prior to packing. That means making a list of your (and his!) needs for any meetings with the wedding coordinators, yoga classes with your guests and time spent hitting the beach. Don’t be afraid of repeating downtime outfits. Do not — we repeat — do not check your wedding dress or his tux. Have your salon or seamstress pack your dress and veil so you can carry it on the plane. Anything of value — your wedding rings and heirloom pieces — should be on your person when you fly. Also, aim to carry on any other party outfits. At the airport, alert the gate agent that you are traveling with your wedding attire, so she can give you the proper assistance. Onboard, ask the flight attendant to carefully store your garment bag. Tip: Tell any important players (your moms, bridesmaids, etc.) to carry on their wedding outfits. Packing up a few programs and goody bag items into your checked luggage is an option for an intimate wedding; but the best practice is to send these items ahead of time. Five weeks before your event, create a package of your important ceremony items and reception special touches. Using an importer-exporter service (which insures safe and timely arrival), address the parcel to the attention of your on-site wedding coordinator. Note: Some items, such as medication and liquors, can get hung up at customs, so properly research any applicable rules. You may want to also send your bridal fix-it kit. If you choose to bring the favors and printed materials with you, consider getting a comprehensive travel insurance plan, which can reimburse you for lost luggage. Make a list of the gadgets you’ll need and any corresponding wires. If necessary, make sure you’ve got the proper electrical converter. Place all your connection wires in a single quart-sized plastic bag and place it in your carry-on. You may also want to label your cellphones, cameras and iPads with your name and e-mail address. Busy brides have been known to lose track of those items over the course of such an exciting weekend. Have your guy pack an extra pair of dress pants and closed-toe, non-sporty shoes. Many resort hotels have at least one formal dining room with dress codes. Also, make sure you’ve got all your medications as well as little helpers like sunscreen, tissues aspirin, Pepto-Bismol and anti-itch cream for mosquito bites. Meet with your coordinator and vendors. Confirm all details and make sure they have a written schedule of events and a timeline. Verify arrival and setup times; have a backup plan in case of bad weather. Have a final tasting with your caterer if you haven’t done so already. 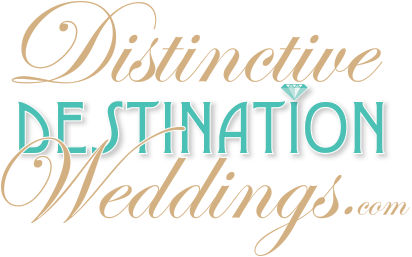 Meet with officiant to confirm details for the rehearsal and wedding- day schedule. Make sure he has copies of your vows and readings. Do a walk-through of the property for another look at your ceremony and reception locations. Make sure to steam your dress and his tux. Organize all of your weekend and wedding-day attire and accessories. Have a hair and makeup run-through with your veil/headpiece. Confirm all of the details for the welcome party, rehearsal dinner and day-after brunch. Plan a romantic dinner just for the two of you to relax and unwind. Take a yoga class, treat yourself to a spa treatment and mani/pedi. Assemble your welcome gift bags and distribute them to guests’ rooms. Include contact information for a point person or two who will be able to assist guests with any questions they may have. When attendants arrive, treat them to a special outing like a sailboat ride or a mani/pedi for the girls and a golf outing for the guys. Greet guests and enjoy the welcome party and other fun activities. Don’t overindulge at the rehearsal dinner and get plenty of rest. You’ll want to feel refreshed and look your best. Relax and let the experts take care of the rest! WestJet Vacations - 1 Round of Golf per room per stay! WestJet Vacations - Receive unlimited rounds of golf! WestJet Vacations - Receive up to $1500 resort credit in Mexico!